After making a rapid descending movement, Euro is being corrected. The market couldn’t keep the price above the level of 38.2% for a long time and right now the it is moving below it. Most likely, in the nearest future the pair will break the latest minimum and continue falling down towards the target area, where there are several fibo-levels at the same time. 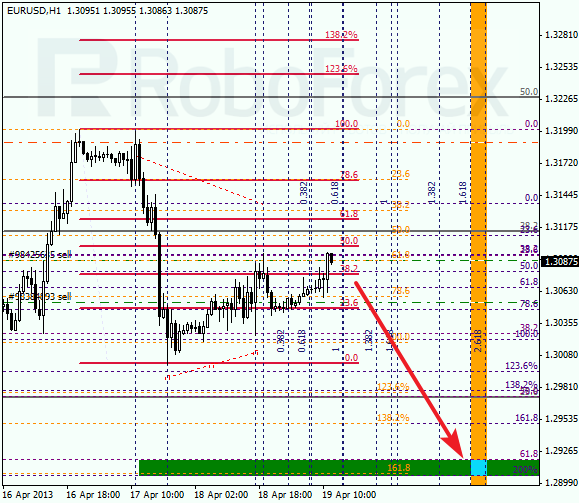 At the H1 chart, we can see that this correction has almost reached the level of 50% (red line). If the pair rebounds from this level, the bears may start a new descending movement. Analysis of time-zones indicates that predicted levels may be reached by Monday. Franc rebounded from the level of 61.8% and started a fast ascending movement. Currently the pair is being corrected, but it may start growing up within the next several hours. 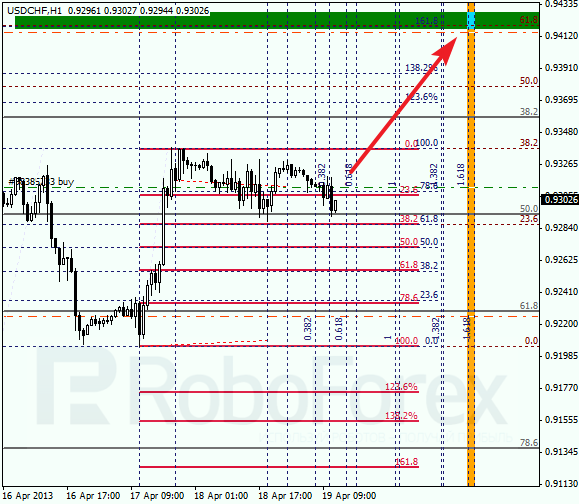 The target is at the level of 0.9420, where the levels of 61.8% and 161.8% are. This correction is supported by the level of 38.2%. If the pair rebounds from it, the price will start moving upwards again. Analysis of temporary fibo-zones indicates that the market may reach the target in the beginning of the next week.